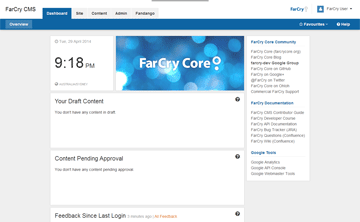 FarCry Core is a web application framework that helps CFML developers	build tailor-made content solutions, fast. FarCry Core is a leading, enterprise-class framework for building fast, scalable applications. It's designed for CFML engines such as Lucee and Adobe ColdFusion and can run anywhere that Java runs, including the cloud and Docker. FarCry Core doesn't limit you to "out-of-the-box" content types. 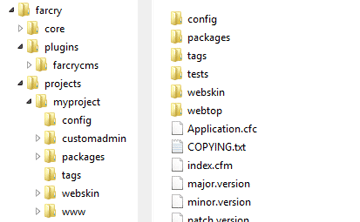 You can build and deploy custom content types quickly and easily using FarCry Builder or hand-craft your code in your favourite editor. 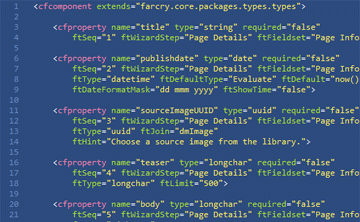 Convention over configuration and best practises are front and center in FarCry Core's programming model. Developers spend less time pondering and searching, and more time building great things. The "Webtop" is a modern, fully customisable and extensible administration panel for managing your	application. A clean and user friendly interface makes content management a pleasure. Read the latest posts from the "FarCry Core Committers" blog to keep up to date on all things FarCry Core! FarCry Core is open source. We use GitHub and Atlassian JIRA to manage our code base. Daemon provides bespoke application development services, instructor led training courses & mentoring, and commercial FarCry Core licenses. FarCry Core is Copyright © Daemon 2003-2019.